Each fully assembled section is 4 feet high by 15 feet long. 10x10 Mesh and vinyl border with three lines of stitching for extra durability. Each pole has a 5/8 inch stainless steel peg and smooth finish paint. Pole spacing is 36 inches. Pole caps and section latches included. Color is black. 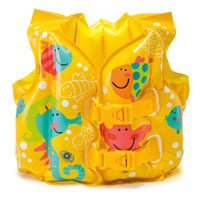 More than 900 children between 1 and 14 die each year in drowning accidents. 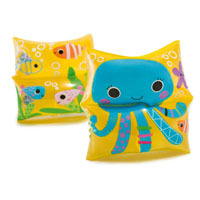 In California, drowning is the number one cause of accidental death for children 1-4 years of age. But, do you really need these statistics to convince you to do everything you can to prevent this from happening to your child or grandchild? The POOL ALARM is an electronic monitoring system that automatically sounds an alarm when children or pets fall into your unsupervised pool. It's portable, self-contained and light weight. The unit is simple to operate. Entry into the pool will be detected by the Pool Alarm's electronic sensor, triggering a loud pulsating alarm at the unit and inside your house from the remote receiver. The Pool Alarm installation is very easy. It sits on the pool deck as shown in the picture. After you install the Pool Alarm, it can't be deactivated; it is always in the alarm ready mode until you put it in Sleep Mode. If someone who does not know how to put the Pool Alarm in sleep mode attempts to remove the alarm, it will sound an alarm. The Pool Alarm comes with a remote receiver which can be mounted in your home up to 200 feet from the main unit. It comes with a 12 volt power supply. 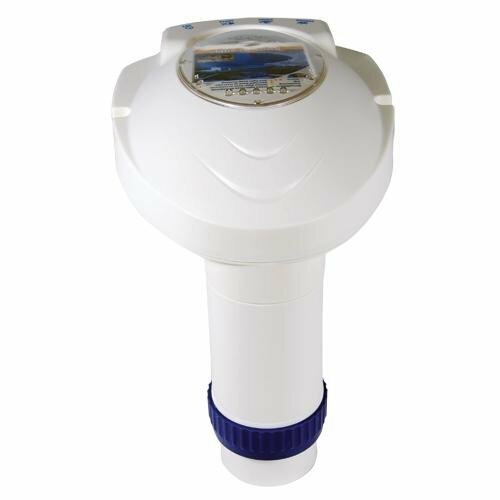 The Pool Alarm uses one 9-volt battery (not included) which should last approximately one year. There is an audible low battery indicator which will sound at the poolside alarm and the remote receiver. Each fully assembled section is 4 feet high by 15 feet long. 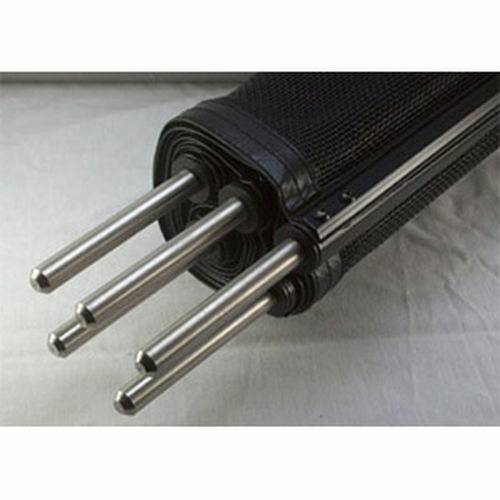 10x10 Mesh and vinyl border with three lines of stitching for extra durability. Each pole has a 5/8 inch stainless steel peg and smooth finish paint. Pole spacing is 36 inches. Pole caps and section latches included. Color is brown. U.S. Coast Guard Approved. Closed Cell Plastic. Will Not Rot Or Mildew. Easy To Clean with Just Soap and Water. Diameter: 20". Blue/white life rope not included. 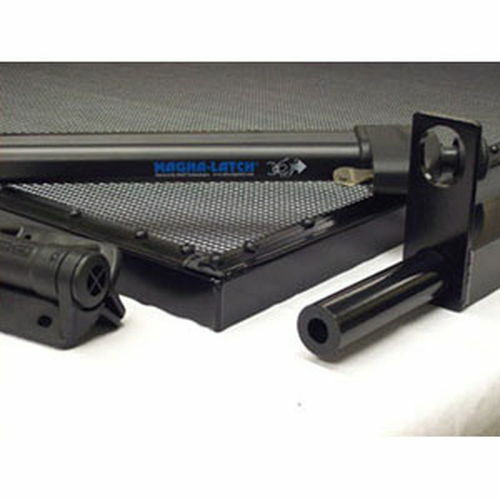 Self-closing, self-latching pool gate to coordinate with All-Safe removable mesh pool fence. 4 foot gate frame with mesh. Key lockable gate latch with two keys. Self-closing hinges and hinge safety cap. Two gate posts with gate adjustment hardware. Center to center spacing from post to post is 32-3/4 inches. Color is brown. Each fully assembled section is 5 feet high by 15 feet long. 10x10 Mesh and vinyl border with three lines of stitching for extra durability. Each pole has a 5/8 inch stainless steel peg and smooth finish paint. Pole spacing is 36 inches. Pole caps and section latches included. Color is black. 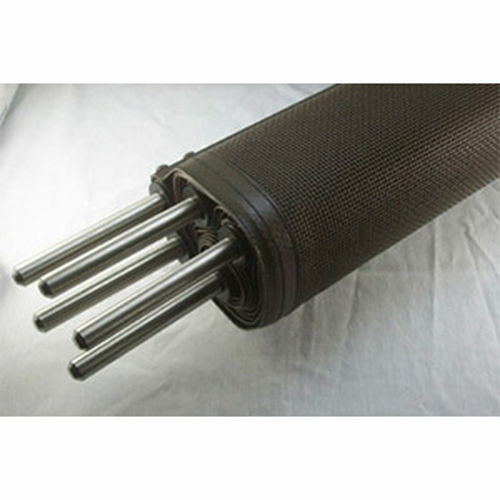 Self-closing, self-latching pool gate to coordinate with All-Safe removable mesh pool fence. 5 foot gate frame with mesh. Key lockable gate latch with two keys. 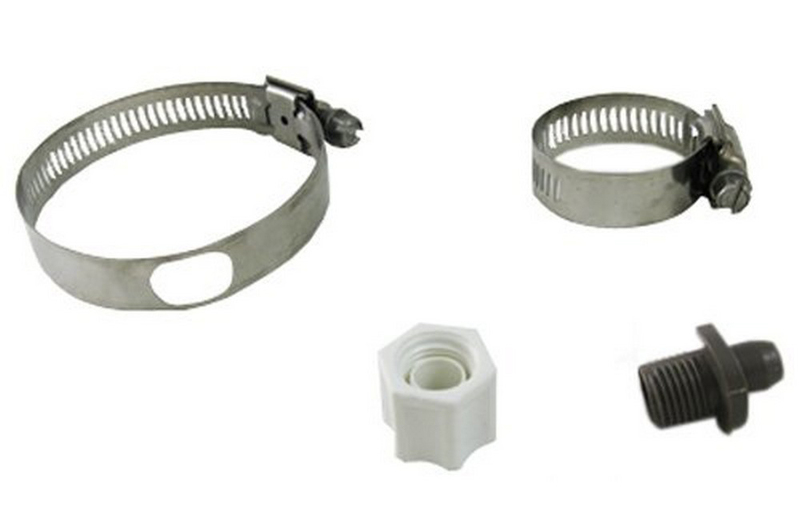 Self-closing hinges and hinge safety cap. Two gate posts with gate adjustment hardware. Center to center spacing from post to post is 32-3/4 inches. Color is black. 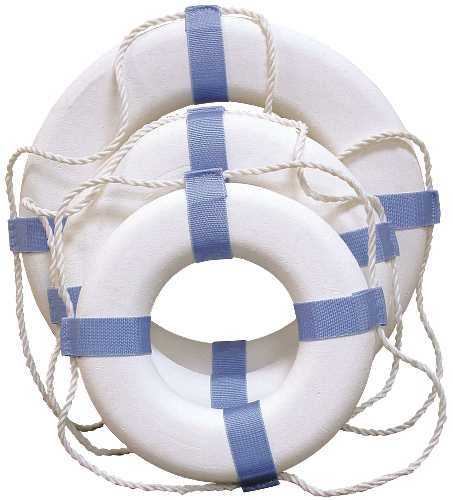 Styrofoam Life Ring. Economy Life Ring. 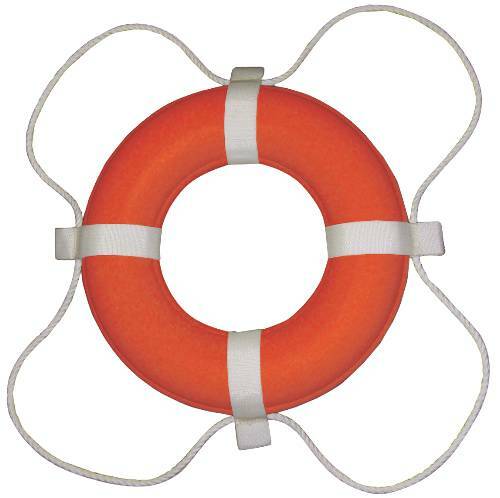 Diameter: 24"
U.S. Coast Guard Approved. Closed Cell Plastic. Will Not Rot Or Mildew. Easy To Clean with Just Soap and Water. Diameter: 24". Blue/white life rope not included. 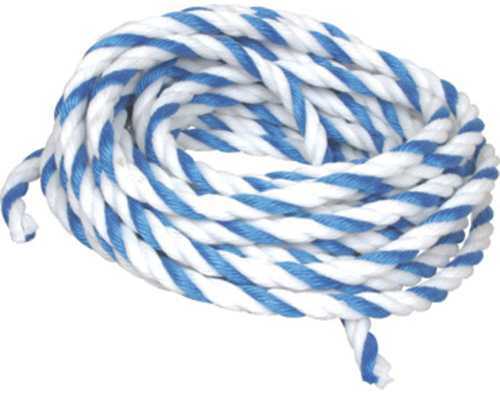 | 3/8" rope for life ring & pool floats | Will fit pool hook | 50 ft. blue and white twist. 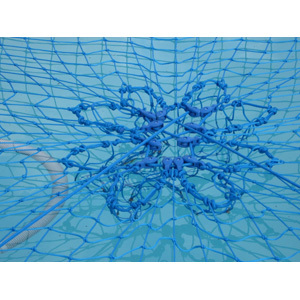 Self-closing, self-latching pool gate to coordinate with All-Safe removable mesh pool fence. 5 foot gate frame with mesh. Key lockable gate latch with two keys. 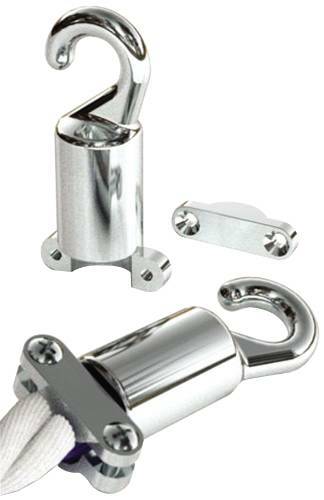 Self-closing hinges and hinge safety cap. Two gate posts with gate adjustment hardware. Center to center spacing from post to post is 32-3/4 inches. Color is brown. 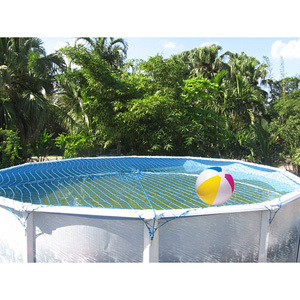 Self-closing, self-latching pool gate to coordinate with All-Safe removable mesh pool fence. 4 foot gate frame with mesh. Key lockable gate latch with two keys. Self-closing hinges and hinge safety cap. Two gate posts with gate adjustment hardware. Center to center spacing from post to post is 32-3/4 inches. Color is black. Hose, Male - Female 30" Hose, Male - Female 30"
The Poolguard Door Alarm will sound in 7 seconds when a child opens the door, and the alarm will continue to sound until an adult comes to the door and resets the alarm. The alarm will sound in 7 seconds even if a child goes through the door and closes it behind them. The door alarm is always on and will automatically reset under all conditions. The poolguard Door Alarm is equipped with an adult pass through feature that will allow adults to go through the door without the alarm sounding. Optional screen door kits can be purchased for the alarm. 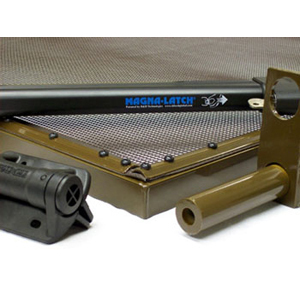 This kit allows you to get air through your screen door without the alarm sounding. 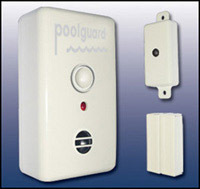 The Poolguard Door Alarm uses one 9-volt battery, (not included) with a battery life of approximately 1 year. The alarm is equipped with a low battery indicator that will audibly alert you when your battery is getting low. This door alarm is UL listed under UL 2017 for water hazard entrance alarm equipment. The Poolguard Wireless Door Alarm will sound immediately when a child opens the door, and will continue to sound if the door is left open. If a child goes through the door and closes it, the alarm will sound for five minutes and then automatically reset. This door alarm is equipped with an outdoor wireless transmitter that allows adults to enter the home from the outside without the alarm sounding, and is easy to install. The alarm is equipped with an adult pass through feature that will allow adults to go through the door without the alarm sounding. The poolguard door alarm uses one 9-volt battery (not included). 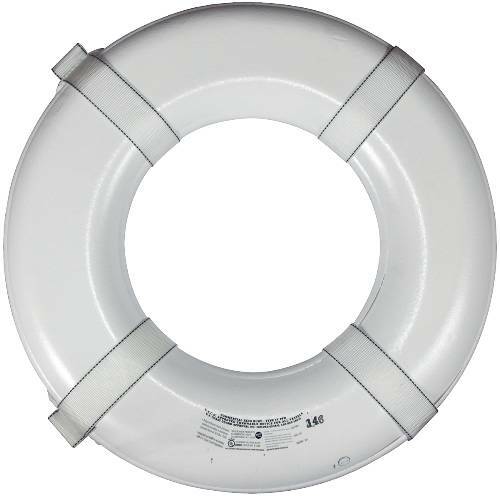 The Poolguard Door Alarm is UL listed under UL 2017 for water hazard entrance alarm equipment.